Professionally present bottles at wine tastings and events. 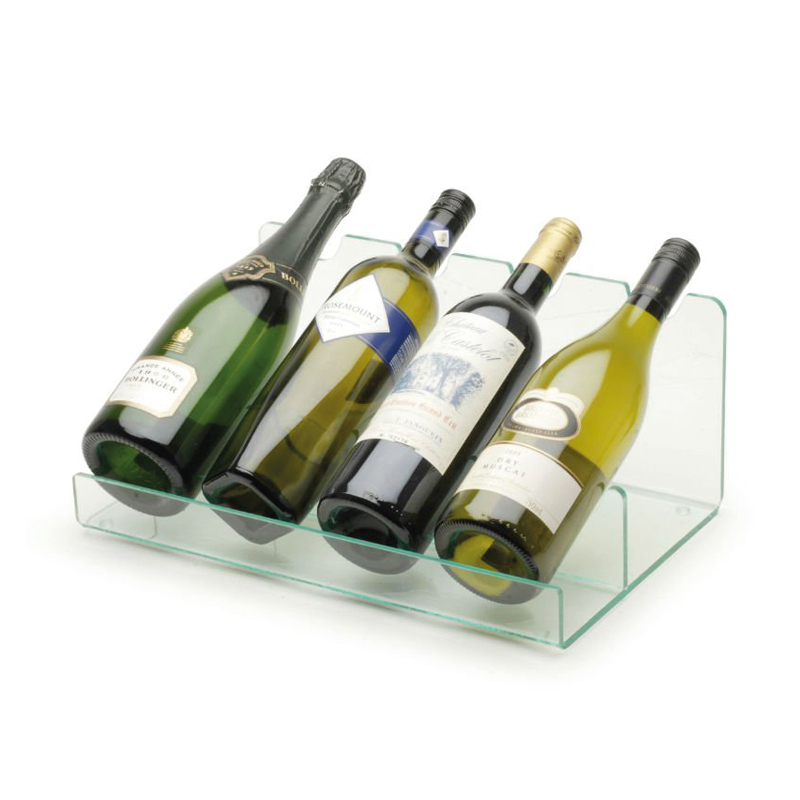 Clear acrylic wine rack holds bottles at an angle allowing labels to be easily read and minimising bottle handling. Standard size holds 4 bottles and has neat anti-slip feet. Wine Bottle Display Racks can be made-to-order. Choose number of bottles to display and colour. Branding also available.